The Cloud Native Computing Foundation sponsored this post. Like so many milestones that were achieved in the history of computing, creators and inventors rarely had eureka moments, but instead, found a very practical way to solve a problem. The creation of the open source Kubernetes container orchestration software is but another example of something very big that was created with little initial fanfare, before becoming one of the most important developments in modern computing that will likely serve as the cornerstone of how software is deployed and developed for at least years to come. 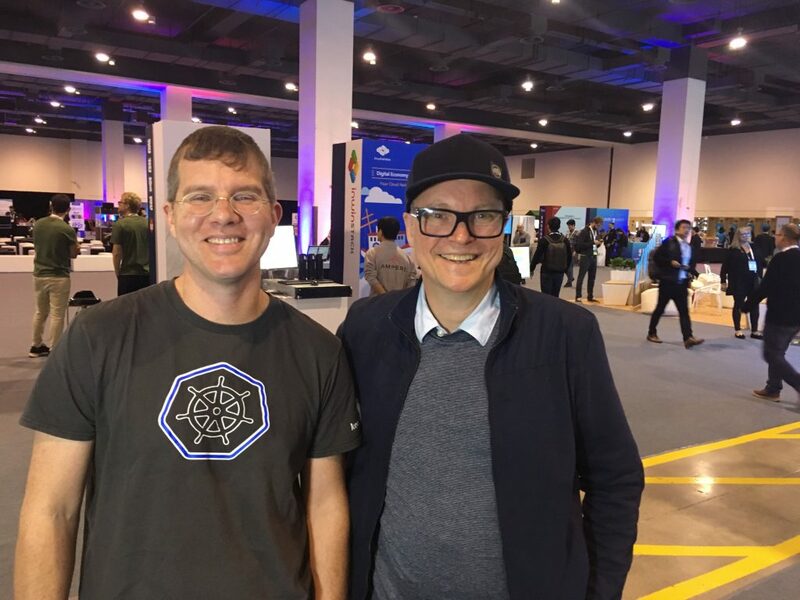 “I don’t think we could have ever imagined that this would be where we’d be sitting five years from then — it’s really unbelievable,” Kubernetes co-founder Brendan Burns, distinguished engineer at Microsoft told Alex Williams, founder and editor-in-chief of The New Stack, hosted during a podcast recorded at KubeCon + CloudNativeCon 2018 in Shanghai. One of the impediments to improving cluster configurations to help improve the developer’s experience is “figuring out a rule language that allows people to specify like, ‘how do you write a rule that says, this field and this object needs to have this value?’” Burns said. 3:10: Discussing the issue of policy in the enterprise. 8:56: What are the technical implementations you have been through to develop this policy? 11:14: What are the abstractions that you needed to think through to be able to clean up these clusters and make the developer experience better? 13:15: What makes Helm different from other package management tools? 17:18: Tell us about the group that’s building the policy engine right now that we’re discussing. 19:22: If you’re going to look forward to 2019, with 2018 in retrospective, will this be a major focus for you?